Had to share this… Really? 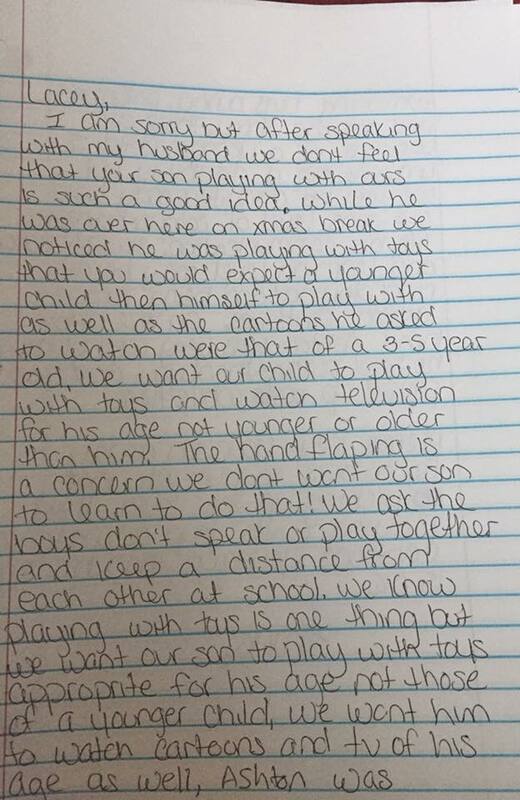 This is what parenting has come to? We can encourage our children to play with younger siblings, family members, friends, etc…. This is a non-issue. I hope other parents of children who this boy plays with see this and realize they should encourage their children to embrace those different than themselves. 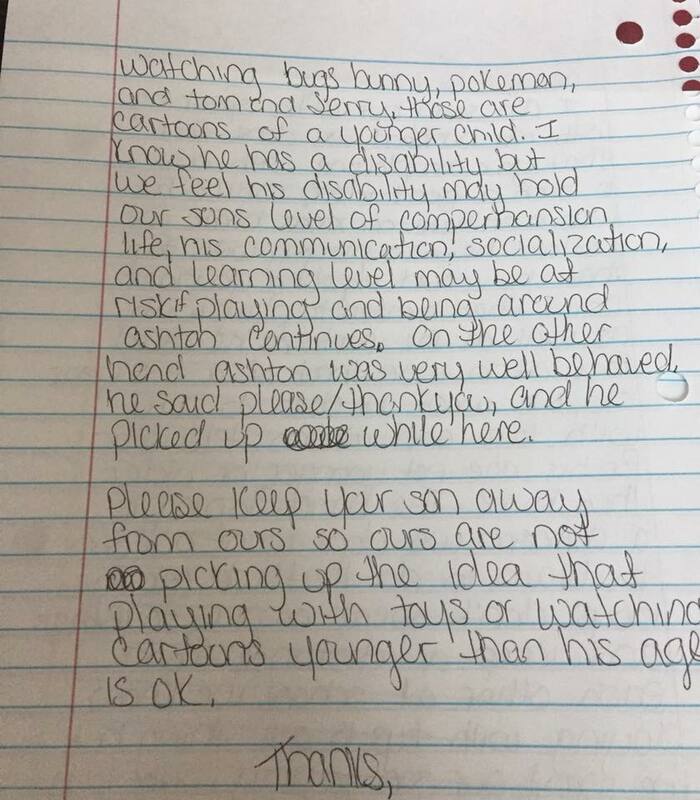 Lacey Brandenburg received this letter from another child’s mother after her son, a boy with a disability, spent some time with the other parent’s child.